The rubber block has high abrasion resistance, corrosion resistance, impact resistance, self-lubrication. 3, Can be used as supporting block for jack. 1 x Rubber Block. 1, It has excellent abrasion resistance, self-lubrication and non-viscosity. 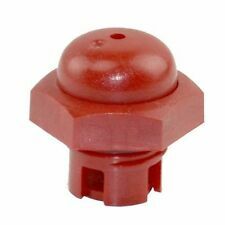 (Hg) Plunger Bore. 787 in. / 20 mm Plunger Stroke. 630 in. / 16 mm Crankcase Oil Capacity 40.6 oz. / 24 mm Weight 32 lbs. PRESSURE WASHER PUMP . 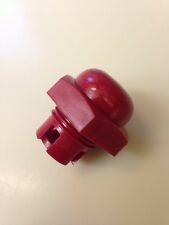 General Pump Part Number PW 3555 / CW 3555. Mi-T-M part # 3-0202. Fits for Bosch Aquatak models [Not for AQT models]. 1 x Snow Foam Lance Adaptor. Connector: 1/4" female. Quick connection, no spanners required. USA, Canada, United Kingdom, Austrilia, France, Germany, Spain, Ireland, Italy, Others. Honda GX200. More stable power, even under load. We would deeply appreciate your patience and understanding in this matter. We'll always be with you every step of the way! Give us a shot, and we'll make sure that you will look to us again! Channel Type Stainless steel Mat Clamp - w/ Green Bumper. Wall Mount, Makes washing down a set of mats easy. This Mat Clamp is made of Stainless Steel. BE 85.790.004 Rotary head. NEED THE ROTARY ARM?. M22,15mmFemale (Non Standard Sun Joe Style) x 3/8 Coupler. Trending at C $93.53eBay determines this price through a machine-learned model of the product's sale prices within the last 90 days. M22,15mm Female x M22,14 Male (The most common size). Fits: HUAYI, RUIXING, JINGKE, & XIELI, Fits Part Number: 170F, 7HP, 208CC, 211CC, 212CC. Mounting Specs: Front Mounting Holes: Approx. 6.85mm; Rear Mounting Holes: Approx. 6.85mm; Distance between the centers of Front Two Mounting Holes: 42.9mm; Distance between the centers of Rear Two Mounting Holes: 42.9mm. MTM Pivoting Quick Connect Nozzle Holder For Pressurer Washer Wand. 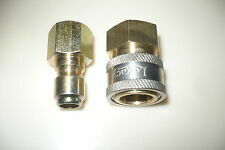 Pivoting Quick Connect, 1/4" Male Plug x 1/4 Female Socket. Cat Pump O-ring 14179 and 46798. NorthStar Pressure Washer Surface Cleaner - 20in. 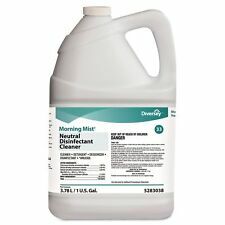 This NorthStar Pressure Washer Surface Cleaner cleans roofs, concrete driveways, walkways, patios, pool decks and more. Durably made with heavy-duty anodized aluminum mounting components. Inlet: FGH. Pressure Washer Twist Connect M22 To 3/4" Female Garden Hose. Karcher Style 14mm Twist Connect. Twist Disconnect Coupler. Category: High Pressure. Outlet: M 22 F. Price is for 1 Piece. For MTM Hose Reels Models 27.0006 & 27.0004. 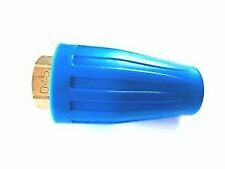 • Works with MTM hose reel models 27.0005 & 27.0007. 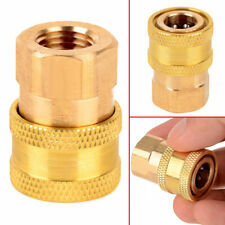 • Swivel Size:1/2 Male pipe threadx 3/8" Female pipe thread. Under Car Cleaning Washer has Four Nozzles and Two Casters to Easily Clean Under Vehicles. Material: Aluminum, Stainless Steel Threaded Nozzles, Hard Composite Swivel Casters, Brass. Casters: 2. Nozzles: four # 1.3 @ 65 degree. For Sale is a General T-Series TS2021/ or Interpump WS202 Pressure washer Pump New from the factory. This pump is a Direct Drive Pump. Specifications are as follows Heavy-duty tapered roller bearings and oversized connecting rods for maximum life. Channel Type Stainless steel Mat Clamp - w/ Blue Bumper. Wall Mount, Makes washing down a set of mats easy. 1/8 x 1- 1/2 Wide Base and Top. Super Heavy Duty. Best Quality Made In USA. Trending at C $80.21eBay determines this price through a machine-learned model of the product's sale prices within the last 90 days. For Sale is a new Suntec Fuel Pump Model # A2VA-7116. Probe: 7x95 mm - 0.28 x 3.74 in Weight: 146 gr - 5.15 oz. Accessories supplied with the machine, maintenance components (seals, valves…etc.) and other wear and tear components including but not limited to: wheels, hoses, guns, nozzles, filters, fittings are not subject to any warranty. Karcher Original Part - 9.036-703.0 High pressure outlet (90367030). Lift up the connector and pull it out of the unit. Pull the old connector off of the pump. Transfer the o-ring from the old outlet connector to the new connector. This incredible tool is for the hard to reach places. The quick connect pivot coupler adjust to three different cleaning angles. 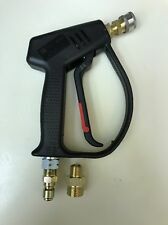 It connects between the wand and high pressure nozzle. Mi-T-M Pivot Coupler. OEM Mi-T-M 14" Rotary Surface Cleaner Swivel Head. We have the right to refuse the sale of any item in this situation. Need more parts or tools?. 5000 Max P.S.I. Includes 65° #40 chemical nozzle. We are a husband and wife team. Two things set us apart. We are incredibly easy going and understanding. Both janitorial professionals and people who clean their own homes need equipment for the job. 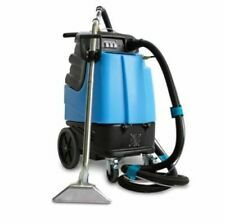 The right cleaning equipment can help keep floors, bathrooms, windows, and other areas of a building in top condition. Janitorial professionals need stronger tools and chemicals than at-home housekeepers. What equipment should a janitorial service own? Vacuum: Make sure that your vacuum has attachments for getting into small, high, or oddly shaped places. An extension cord can help you reach all areas of a room. Gloves: You will use these to protect your hands from germs and strong chemicals. Cleaning solutions: All-purpose cleaners and specific-application cleaners, such as toilet bowl solution, are both important. A disinfecting solution is a must. Floor tools: These includes dry mops, wet mops, and brooms of multiple shapes. You will also need buckets and dustpans for cleaning floors. Dusters: You may wish to use rags or feather dusters for this job. Disposable products: You will need to continually restock your supply of some cleaning products, such as trash bags and paper towels. 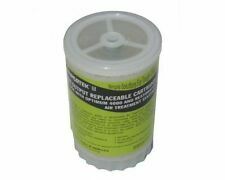 Caddy or cart: These can help you move your janitorial supplies from place to place. If you clean multiple businesses, you may want a set of supplies to leave at each location. What supplies are necessary for cleaning a house? Rags and sponges: These can include paper towels, reusable cloth or microfiber rags, and an assortment of sponges. 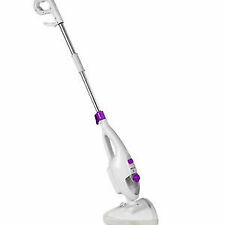 Vacuums: It is handy to have both a full-size vacuum and a handheld one. Other tools: A well-stocked cleaning cabinet will have brooms, dustpans, mops, dusters, and scrub brushes. Cleaning solutions: An all-purpose cleaner is useful in many areas throughout the home. You may also want particular solutions for toilets, windows, showers, ovens, wood surfaces, or other specific applications. You may need spray bottles in which to store these solutions. What are commercial cleaning products and equipment? Often, commercial tools are powerful and chemical solutions are highly concentrated because they are designed for use on a larger scale. Commercial products often meet high levels of disinfection capabilities since they are used in places that are accessed by many people. How should you store cleaning supplies? Proper storage is important for keeping your cleaning supplies at peak effectiveness. It can also be a good safety measure. Keep supplies in a place that stays at a moderate temperature. The area should be clean, and it should not be damp or humid. When possible, keep cleaning solutions in their original containers. If you have to transfer a product to a spray bottle, make sure that it is clearly labeled. Keep the manufacturer's directions on hand.